Campaigners fighting to stop the badgers culls in Somerset say they've had a "constructive" meeting with the Environment Secretary, Liz Truss. 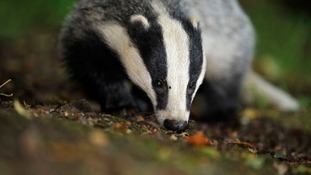 Badger culling could be extended to more areas where TB is rife in cattle if the Conservatives win the general election. Environment Secretary Liz Truss made the announcement at the NFU annual conference, saying the party will continue with its 25-year strategy to eradicate the disease, which includes rolling-out the cull. Campaigners have reacted angrily, calling it a cruel and ineffective strategy in combating the disease. A Government minister has hinted that the region's trial badger culls scheduled for later this year may NOT go ahead in the planned areas. Controversial plans to cull badgers in West Somerset are being challenged in the High Court. The badger trust wants the decision overturned. Heath describes sacking as "brutal"